Camp pushes children out of their comfort zone and exposes them to new activities and experiences that they may not be familiar with. Campers get the opportunity to try out different things and discover new hobbies or passions. By exploring various types of activities, children have a greater chance of finding something that they excel at or that makes them happy. Camp teaches children to communicate, to work together as part of a team, and to be a leader. Leadership is developed by asking campers to fulfill responsibilities that may not be expected of them elsewhere, while sharing resources and attention helps foster teamwork and the desire to participate. Camp allows children to get away from technology and unplug for a while. They actually talk to each other and develop communication skills. Because they feel safe at camp, children are comfortable taking healthy risks, setting personal goals, and realizing their dreams. At camp, children learn the importance of working hard to accomplish what they want and of perseverance, all in a low-stress setting. On top of making new friends, campers also develop an appreciation for the qualities required to cultivate and strengthen these relationships. Camp provides children with the core values of a strong, moral individual by teaching them about ethics, honesty, compassion, respect and responsibility. Parents frequently report that after camp, their children are more kind, understand the importance of giving, are more equipped to stand up for what they know is right, and are willing to be more responsible. At camp, children learn the responsibility of making their own decisions with the safety net of insightful counselors and staff in a safe environment. Campers can risk finding out what works and what doesn’t, while discovering new facets of themselves. The camp environment provides peer support that allows children to quickly overcome their need for constant parental dependency. The main goal of any well-run camp program is making sure children have the time of their lives. Summer camp provides a much-needed break from the academic year and fosters creativity, adventure, thrills, smiles and plain old good times. All of the outcomes—friendships, overcoming challenges, staying healthy and building character— prepare them for bigger, brighter lives down the road. 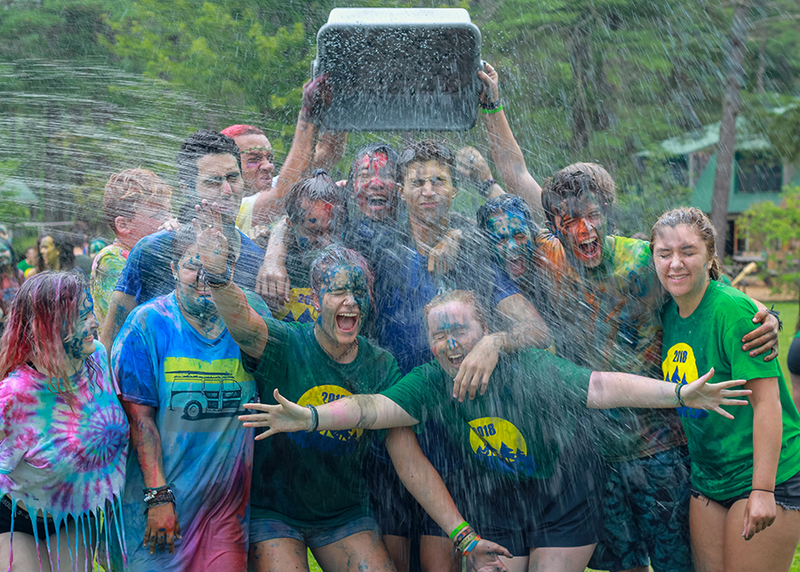 Camp is not just a place to spend the summer—it’s a deep connection with others, becoming part of a supportive community, and something they will hold in their hearts forever.